With the release of Privacy Browser 1.7, I felt it would be valuable to write a post explaining the motivation behind the design decisions and what is coming next. Privacy Browser 1.7 marks the single largest number of changed lines in the code since version 1.0 was released. It began as a need to create a more thorough About section to accommodate attributions for contributions. 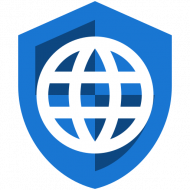 This expanded into a Guide that explains the basic principles and functionality of Privacy Browser. The minimum API was increased to 19 (Android KitKat 4.4 or higher) with this release due to security concerns with the embedded WebView in older versions of Android. I imagine that the majority of the users of Privacy Browser already use devices with API >= 19. F-Droid, where I would imagine the majority of users acquire Privacy Browser, does not collect statistics from users. Google Play’s statistics show that nobody who has downloaded Privacy Browser or Privacy Browser Free is running a device with API <= 18. Privacy Browser 1.8 will likely include bookmarks, which is my wife’s single most anticipated feature. There will probably also be a few other features that are easy to implement as well.